I love to sew, I also love to shop and admire how others are doing bag sewing and selling them online. I’m always curious on how their fabric felt like and how thick their bags could be. So recently I saw this coin pouch selling online. One which I’ve already got the pattern and tutorial, but sometimes you just can’t tell how it feels like at the end. So I told myself I just need to know how their workmanship is and how is the feel of the end product, so I bought one online and am really glad I did. 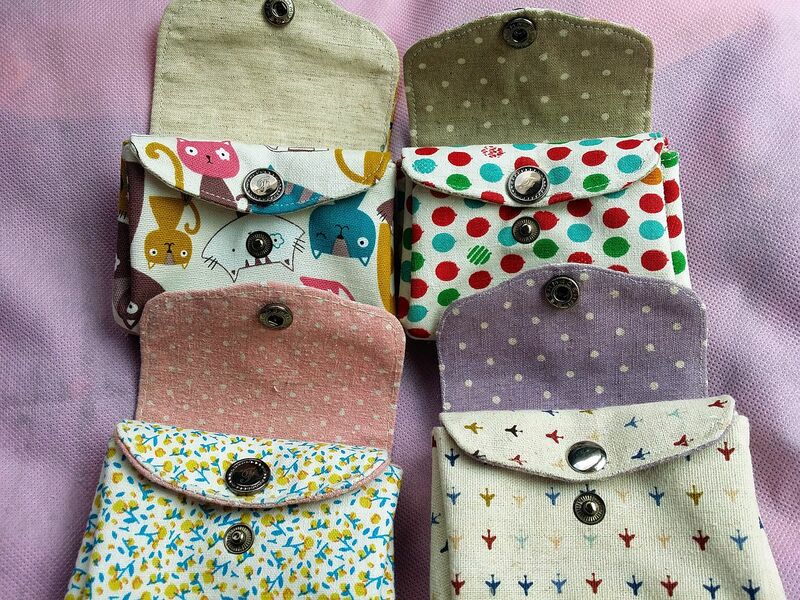 You can get the picture tutorial of the coin pouch in my Pinterest under “Sew” Board. Someone is actually selling the pattern over at Etsy. But you can get the whole story if you know Chinese over here. The pictures actually could speak by themselves. Get the pattern here. Give it a try, you’ll love it . Just wanna add, I’m using cloth fusible for light linen cloths. Snap buttons were done professionally in the shop this time and I’ll definitely going back for more. Cute, aren’t they? 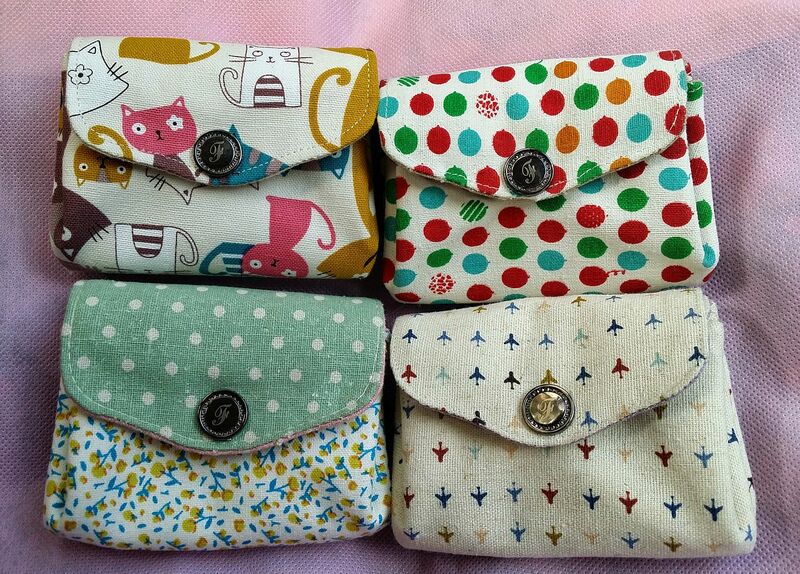 I especially love the one with cat print. Miao!! I think I’m going to make some more. I’ve sold two of them, now left the one with flower pattern at the bottom left and balloons on top right. They are so cute! Well done!